This weekend has been deemed Quassy Redemption. Last year I did Quassy, not exactly what I would call a good time. To be honest I went into my season plan with no intention of racing it again. I wanted to go for the much more flat Patriot Half, but it sold out. So I decided it was time to go back and do it better! Other things I am doing to help my mental sanity- trying to get songs in my head to use when I am hitting that block on the bike or in the run. Reading every Quassy race report I can- trying to remind myself of the course the challenges and take in other people's pointers. I am starting to have the sense of calm- let's hope it stays that way! Wish me luck! 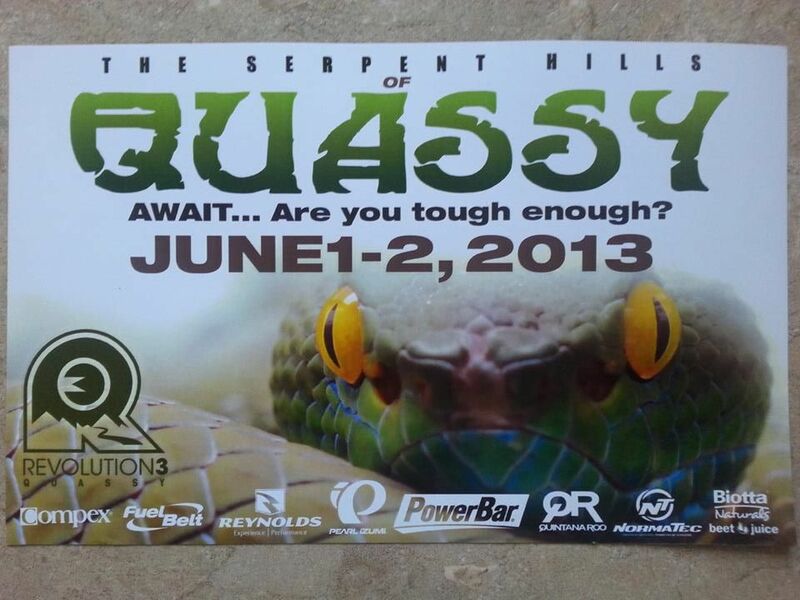 My Friend Jen posted this today- really they had to go with a Snake. I HATE SNAKES!! !